Northern Oil Tool Inc. is a privately held Canadian company offering superior precision machining and related processes. For over 15 years, Northern Oil Tool Inc. has successfully provided quality products and services to a global market. Northern Oil Tool Inc. is committed to providing the best possible service experience for our customers. We work closely with every customer to find the perfect solution for their individual manufacturing needs, whether turnkey parts or specialized custom production runs. We offer a full range of services, from custom machining to repair work. See our Equipment & Services to learn more. Located in Leduc, Alberta, our modern 21,000 sq. ft. manufacturing facility is conveniently located near the Edmonton International Airport and several major transportation routes. 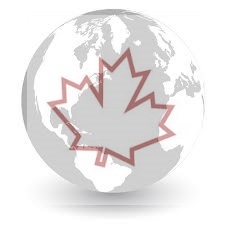 Registered Consigner for Transport Canada Air Cargo Security Program. We're capable of shipping globally, offering security and confidentiality for your made-to-order manufactured goods. Please Contact Us to discuss your manufacturing requirements. Quality Control / Assurance is our guiding principle: Our aim is to provide the highest quality part possible and provide the supporting documentation to ensure your peace of mind.